I like animals. I’m not going to say love, because I don’t own any, and I rarely go out of my way to see them. However, I used to be so popular with the neighbourhood cats that they would follow me to school, at which point I had to distract them with leaves and run for it. So that’s something. But one thing I’ve always enjoyed is a good zoo. Having never been out of England (yep, we’re reeling out that chestnut again,) I find it absolutely astonishing to be able to see animals from, well, everywhere I haven’t been. Sure, you can see pictures of them on the internet, footage on the telly, but that’s never going to be the same as feeling the crick in your neck as you realise how magnificently tall a giraffe is, or finding out the actual colour of a flamingo without a dodgy TV ruining the colour. But I digress. The point of this post is for me to work out the answer to a question I’ve been considering for some time now: Should I approve of zoos? After all, I am an herbivore, a decision made for animal welfare reasons. So am I being a humongous hypocrite by visiting and funding zoos? One (possibly final) trip to Marwell seemed the best way to decide. Despite my doubts, I arrived with the same gleeful excitement as the huge queue of children I stood in – I’d managed to go during half term week; well done, me. My first stop was my favourite exhibit, Penguin Cove, as you can watch the penguins swim underwater through windows surrounding their pool, the sun reflecting around their bodies and giving them a splendid rainbow outline. I spent the rest of the morning happily visiting everything you expect to find in a zoo; giraffes nibbling at leaves like polite WI ladies eating biscuits; meerkats fighting over dead mice (adorably horrifying); gazelles with eyes that belonged in a Disney film, and lemurs curled up together so tightly that they looked as if they’d just been acquainted with a rubbish crusher. It was all sweet and fine and lovely, but none of it seemed to have any purpose to it other than giving us something to ‘awww!’ over. But after lunch – a meagre-but-tasty portion of chips – I began to notice a little piece of information in each of the enclosures: their conservation status. A rating system classifying each animal. Everything from the near-threatened ring-tailed lemur to the endangered snow leopard to the scimitar-horned oryx, which is currently extinct in the wild. That was a shocker. It’s an odd feeling, realising the gravity of a situation when you’re standing in a zoo infested with kids in Halloween-themed fancy dress. But it’s still not the thing that shocked me the most. That, to be precise, was a tank of partula snails. Sounds gross, I know, but they were tiny things, hiding in shells smaller than the nail on my little finger and suckered onto the glass in pink fleshy blobs. And in this one room, in less than half a dozen tanks, was a third of the world’s population; a third of all the partula snails in the world. Doesn’t sound very important, does it? After all, who cares about snails? But then, it shouldn’t matter than it’s just a tiny snail. It’s still a species that we don’t have the right to kill off. That’s just my opinion, anyway. But that’s what humans do; we turn forests into farms and then cull their inhabitants when they eat the crops. We weave roads through animal’s habitats and are then outraged when they cause car crashes. We think fur looks better on us than an Amur tiger. And the worst bit is, we carry on doing it once we’ve realised it’s wrong. But that’s where places like Marwell come in. It has established conversation projects in Zimbabwe, Kenya and Tunisia, as well as here in the UK. It supports reintroduction programmes, hosts fundraisers for conversation, and nurtures animals which would be hunted and killed in the wild. When I arrived that morning, shoving past toddlers to get a closer look at the cheetahs and imitating the bounding wallabies, I didn’t expect any of it to matter. I thought I would find out that this was just some sort of furry Tate Modern, an updated Victorian freak show. But zoos matter, or at least the good ones do. I don’t imagine any of them are perfect, but they are extremely important in trying to maintain a diverse and magical world while so many people continue to strip it away. 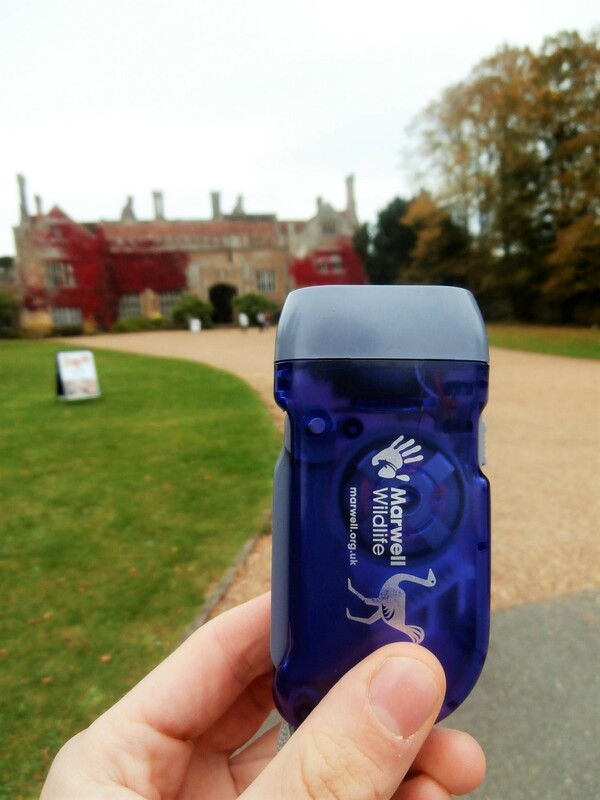 After spotting solar panels on top of the buffalo enclosure, I thought that a lighter wasn’t quite good enough to summarise Marwell. Instead, an eco-friendly dynamo torch seemed much more appropriate. Modern, pioneering and doing its bit for the planet – just like Marwell Zoo.